Rivanna Schutzhund & Police Club hosted our fall IPO Trial with SV Judge Ferdi Diermayr November 27-29, 2015. Members and guests earned six new BHs, three new IPO 1s, an IPO 2, an IPO 3, and three repeat IPO 3s. Congratulations to all the competitors for their hard work and sportsmanship. This marks the 22nd trial our club has hosted since our first in 2003. 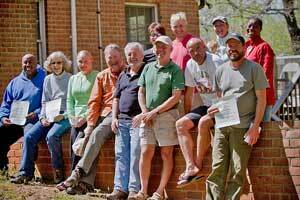 In that time our members, most of whom came to Schutzhund Village as beginners in the sport, have had many successes and a few "learning experiences." 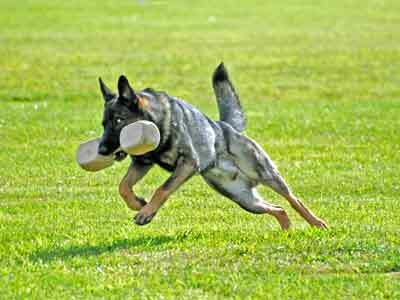 Members have now earned more than 100 new Schutzhund/IPO titles, which is a very considerable achievement, and demonstrates the skill of our Training Director; and the patience, perseverance, and good sportsmanship of everyone. Most our handlers had never trained a dog in a competitive dog sport before they came here. Rivanna Schutzhund & Police Club hosted an IPO Trial with SV Judge Heinz Balonier January 24-25, 2015. Rivanna Schutzhund & Police Club held our 2014 Summer Trial June 28-29 with SV Judge Günther Müllegger. We split the schedule so that the dogs could work in the cooler morning and evening hours, and it worked out well. Eleven teams started, and all deserve praise for their hard work and sportsmanship. We finished with two new IPO 1s, four new IPO 2s, two repeat IPO 3s, and three BHs. We had visiting teams from New England, California, and Quebec. Rivanna Schutzhund & Police Club held our 2014 Winter Trial January 18-19 with SV Judge Ferdinand Diermayr. 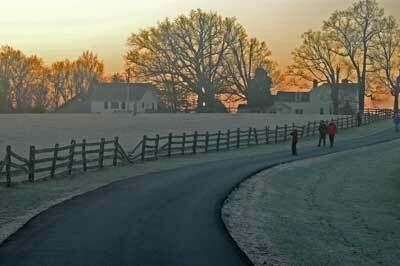 The weather cooperated, with conditions perfect for the dogs, and the (bundled up) spectators. Eleven teams started, and all deserve praise for their hard work and sportsmanship. We finished with three new IPO titles, a new FH 1, and four BHs. Our visiting team from Tidewater brought with them a large contingent who considerably added to the gemütlichkeit with their enthusiastic support for all the dogs and handlers. And, as always, thanks to everyone who helped out: Helper, tracklayer, & major organizer Armin, tracklayer Max, Secretary Anita, the obedience group, and of course, everyone who contributed food for our once again memorable lunches and judges dinner. March 16-17, 2013 Schutzhund Village hosted a trial for the Royal City Schutzhund & Dogsporting Association with DVG judge Dunja Schmid. An impressive total of 22 dogs started, with an even more impressive total of 20 passing, most earning new titles. 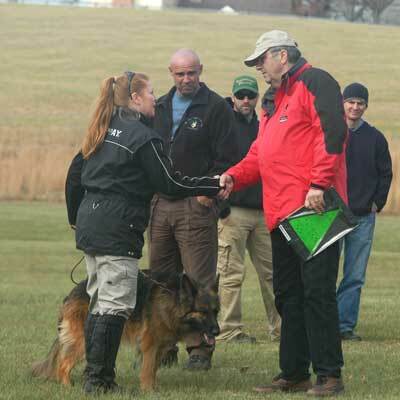 Rivanna Schutzhund & Police Club held our 2012 Fall Trial October 26-28 with SV Judge Rudolf Gimpel. 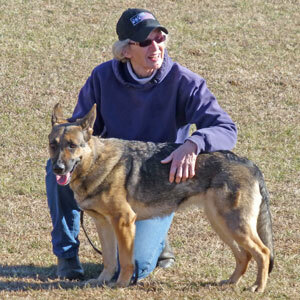 Rivanna Schutzhund & Police Club held our 2012 Spring Trial April 6-8 with SV Judge Ferdinand Diermayr. We finished with 4 new BHs, 3 new IPO 1s, 2 new IPO 3s, a new FH 1, and a new FH2. Congradulations to all the handlers for their hard work and good sportsmanship. The weather was perfect for dogs and handlers, tracking conditions were excellent, and, as usual, the food was great. Thanks to our judge, Herr Diermayr all the way from Bavaria; Max and Chris for laying the FH and IPO 3 tracks; Fiona, our trial secretary; and, of course, Armin and Max for their helper work. This was our 17th trial since our first in 2003 and continued our tradition of Handler Owner Trained dogs and hospitality to guests and non-traditional breeds. From our club we had 2 dobes, 1 Riesenschnauser, 2 Presa Canarios, 1 mix, and 4 German shepherds. And, all the way from Baltimore, our guest earned a new IPO 3 with a Cane Corso. Ron and Guyot went to North Little Rock, Arkansas, for the 2010 DVG National Championship, placing 4th with a score of 96 93 90 279 SG. They also won the trophy for high Southeast KG competitor. Arkansas Schutzhund Club did a fine job of hosting, with a river boat cruise, unlimited hospitality for practice at their beautiful club field, a great venue 2 blocks walk from the host hotel, and an all-around well organized trial. Oh, and somehow they managed to arrange perfect weather. Thanks to all who organized, judged, laid tracks, did the unglamorous grunt work, and, of course, the helpers for a great event. Schutzhund Village Perpetual Trophy in memory of VA Lars von Wilhendorf SchH III, FH is awarded to the high handler owner trained team at each trial hosted by Schutzhund Village. Schutzhund Village Training Director's Award in memory of Wasko vom Küchenhorn SchH 3 FH is awarded to each HOT team trained at Schutzhund Village when they earn their first working title. A team who earns all of their titles together, and have done substantially all of their training in the Schutzhund Village group or its predecessors, become members of our Schutzhund III Club upon earning the SchH III title.